3129 Lee Highway, Arlington, VA 22201 $200 minimum order. 24-hour notice recommended. Please call us with any questions at 240-558-3506. 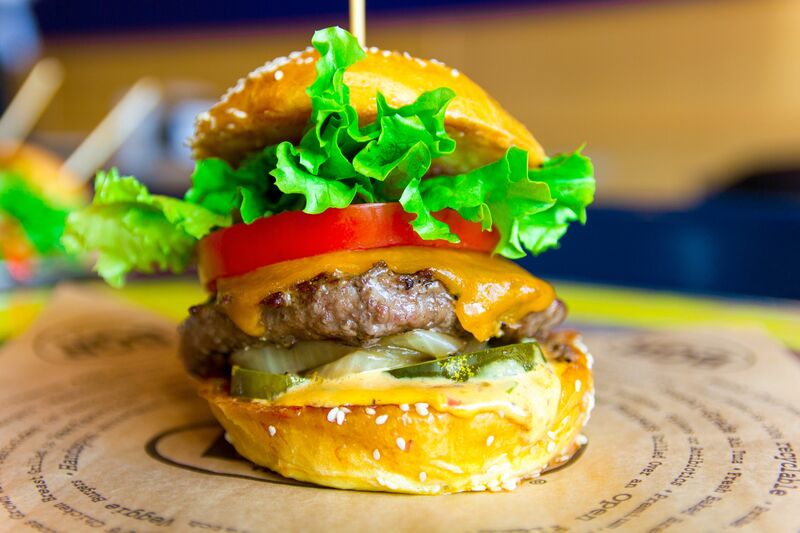 Our legendary formula using award winning burgers and cooked to order over an open flame. Infused with portobello mushrooms and gorgonzola cheese. Always prepared well done. House made fresh with a blend of brown rice, black beans, molasses and oats. Served with lettuce, tomato, onion, pickles, cheese and mojo sauce. 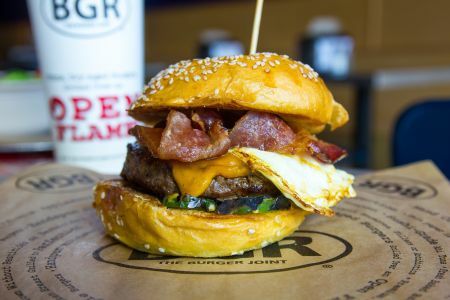 Our burger topped with an over easy egg, apple wood smoke bacon, grilled jalapeno, cheddar cheese and mojo sauce. Swiss cheese, sauteed mushroom and mojo sauce. Bacon, cheddar, bacon onion marmalade, pretzel bun. Caramelized onions, roasted, mushrooms, black truffles, bleu cheese and mojo sauce. Pepper jack cheese, bacon, lettuce, tomato and mojo sauce. Grilled pineapple, Teriyaki sauce, pickled ginger and mojo sauce. Swiss cheese, bacon, lettuce, tomato and mojo sauce. Avocado, Provolone, lettuce, pico and Chipotle ranch. Premium fresh all beef hot dog. 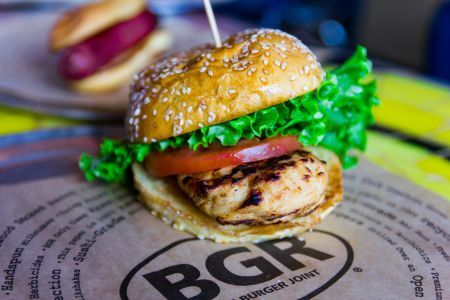 2 mini burgers BGR style. Served with mojo sauce, pickle, onion and American cheese. Served with honey mustard and bbq dipping sauce. Tomato, cucumber, red onion, Cheddar and croutons. Tomato, cucumber, red onion, Cheddar, bacon and avocado. Choose burger, toppings, side and milkshake. Look Burgers and shakes are a natural, we couldn't pass this up. Hand Spun, extra thick shakes featuring Breyer's ice cream. Priced per person, with 48 hour notice.